Ram Charan has given a sweet surprise to better half Upasana Konidella. 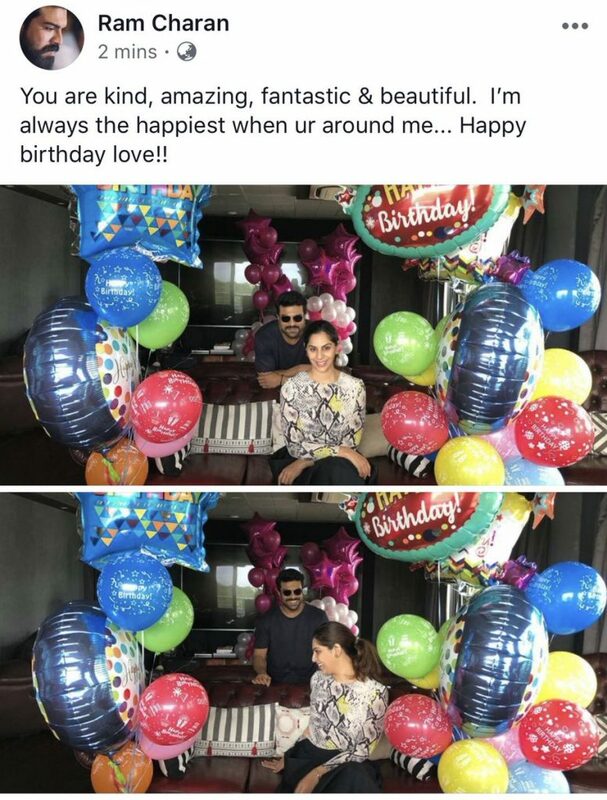 He celebrated her birthday and wished in a unique style with balloons all around. He shared it on his social media platform,”You are kind, amazing, fantastic & beautiful. I’m always the happiest when ur around me… Happy birthday love! !” These Couple are giving serious relationship goals guys!! !